Have you ever wondered what it would be like to actually meet C. S. Lewis? Well, watching Max McLean perform as C. S. Lewis might be the closest you come this side of heaven! 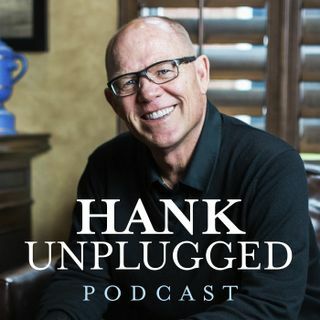 McLean joins Hank on this episode of Hank Unplugged to discuss what it is like to perform as one of the most influential Christians of the twenty-first century. Topics discussed include: Max McLean’s desire to adapt the works of C. S. Lewis as an apologetic tool through performance arts (2:00); how McLean is able to ... See More bring Lewis to life on stage (6:00); “Reason is the natural order of truth; but imagination is the origin of meaning” (9:00); the power of oral tradition (10:45); memorization as a transformational discipline (14:50); challenges McLean has faced performing biblical adaptations (16:25); performing the Gospel of Mark (18:05); remembering that everyone is made in the Imago Dei as described in The Weight of Glory (19:55); C. S. Lewis Onstage: The Most Reluctant Convert on DVD (24:20); being a Christian actor and the role of Christian performing arts in NYC (25:20); the importance of properly processing our experiences (30:05); the apologetic value of performing the conversion story of C. S. Lewis in The Most Reluctant Convert (33:20); “the hardness of God is kinder than the softness of men” (37:30); theism as a significant entry point to belief in Christianity (39:10); performing as Martin Luther (44:40); is it more difficult to write or act? (48:30); spiritual warfare and performing The Screwtape Letters (49:40); literary evil, real evil, and the safest road to hell (52:20); free will and the key to understanding C. S. Lewis found in The Great Divorce (54:00); Shadowlands: the love story of C. S. Lewis and an example of how God works through pain (55:50); McLeans testimony as an adult convert to Christianity (1:02:00); McLean’s award-winning recordings of the Bible in The Listener’s Bible (1:07:00); the benefits of memorizing the Bible (1:09:25); the similarities between memorization and meditation (1:11:30); Max’s passion for live theater and where you can see him perform (1:17:30).